The international regulations in regard to online gambling are subject to considerable complexity due to the fact every country has its own stance on the legality of interactive gaming. The Kingdom of Netherlands is not an exception, either, as the local government’s stance on online gaming is rather complicated and difficult to understand. The Kingdom of Netherlands is a constitutional monarchy which has territories in both Western Europe and the Caribbean region. These territories include Curacao, Aruba, Sint Maarten, and the Netherlands, with the latter having the greatest say (of about 98%) in administering the affairs and legislation of the monarchy. Below, Dutch players can find 30 of the most reputable online casinos that accept customers from their jurisdiction. All 30 gambling operators are well-known in this business for their trustworthiness, security, broad choice of gaming options, and time-efficient transactions. You can rest assured all 30 operators are legitimate and accredited. In some aspects, Dutch laws appear to be rather liberal, but this is hardly the case as far as interactive gaming for real money is concerned. As a matter of fact, the Dutch government has never been too keen when it comes to allowing offshore gambling providers to offer their services to players residing within the boundaries of the country. Launched in 2006 by the prestigious William Hill Group, Eurogrand is one of the favourite virtual casinos of Dutch players and rightfully so. The operator is acclaimed for its honest and transparent practices, quick banking transactions, and extensive gaming library comprising hundreds of slots, video poker, and table games by leading supplier Playtech. These are available across all three popular platforms – mobile, instant-play and download. If you sign up with a real-money account at Eurogrand, you can feel confident in the knowledge you are gambling at a legitimate website. The operator is authorized to offer its services and products by the UK and the Gibraltar Gambling Commissions. Casino.com is home to an international community of satisfied players and citizens from the Netherlands are not an exception. The casino’s multi-lingual website was given a makeover a while ago to make it more pleasing to the eye and easy to navigate. Casino.com has joined forces with some of the biggest suppliers in the world such as Playtech and NetEnt. The casino is also mobile-responsive and offers a free downloadable application for iOS. Dutch players can conveniently top up their balance with their local iDEAL or go for Neteller, Entropay, and Skrill. Guts Casino is a renowned online gambling operator that was founded in 2013. The website utilizes a multi-software platform, powered by suppliers the rank of NetEnt, Betsoft, Microgaming, NYX, and Play’n GO. A live dealer section running on the Evolution Gaming software is also on offer. The website features a plethora of high-quality slots as well as a comprehensive range of video poker, specialties and table classics like baccarat, roulette, and blackjack. The casino supports numerous secure methods of banking including Neteller, Skrill, and Paysafecard. Credit and debit cards by the brands Visa and MasterCard are also supported. The website operates under the licensing and guidelines of the Malta Gaming Authority and the UK Gambling Commission. William Hill is one of the largest providers of landbased and online betting services in the world and as such, operates an online poker platform, bingo rooms, a sportsbook, a live dealer offering, and a sophisticated online casino with hundreds of premium slots, progressives, table games, and video poker variations. The reputable operator has teamed up with developer Playtech for its gaming library. The website is available in a variety of languages, including German, Russian, Polish, French, and Japanese. All payments are encrypted with the best SSL technology out there, which is to say you have nothing to worry about when it comes to the safety of your sensitive data. William Hill bears the stamp of approval of the Gibraltar and the UK Gambling Commissions. Mansion Casino impresses with an elegant website that is home to a huge gaming variety, with the games ranging from the hottest video slots around to a number of classic staples like roulette, blackjack, baccarat, craps, and casino hold’em poker. Many of the games come with enormous progressive jackpots that can transform your life all over. A substantial percentage of the portfolio is courtesy of software supplier Playtech. Players can enjoy the available games in instant play, download the free casino client, or play as they go since Mansion Casino is mobile-friendly. The operator can offer its services legally thanks to its licenses by the UK and the Gibraltar Gambling Commissions. Launched in 2011, Trada Casino has become the preferred online gambling destination of many Dutch players thanks to its vast selection of premium gaming titles by leading software providers like NetEnt, Evolution Gaming, Microgaming, and iSoftBet. The library spans an extensive range of slots and classics like blackjack, baccarat and roulette, including games hosted by live dealers. The website has won two Casinomeister awards for Best Customer Service in 2016 and 2017, so Dutch players can feel safe knowing there will always be a support representative on standby to assist them. Newcomers can claim a great No-Deposit Bonus of 50 Free Spins on NetEnt’s Starburst. As the name suggests, Slot Planet focuses predominantly on slots but this is not say it lacks in standard gambling options like blackjack, roulette, and baccarat. A live dealer section is also offered. The games are available for instant play but smartphones and tablets are also supported to the benefit of mobile-gaming fans. Players who register at Slot Planet get to enjoy a number of perks including a rewarding loyalty program, a busy schedule with appealing monthly promotions, secure payments, and 24/7 customer support. Some of the most popular methods you can boost your casino balance with include MasterCard, Visa, and Paysafecard, all of which are available to Dutch players as well. InterCasino is one a long-standing gambling operator in this industry, having been launched as early as 1996. More than twenty years after its introduction, it continues to be a favourite of players from around the globe thanks to its vast collection of games and fair payouts. The casino’s website is home to over 600 desktop games along with 400 mobile titles, supplied by 30 of the biggest names in the field of interactive gambling software development. Dutch players are also welcome to join the fun at InterCasino where they will find numerous video slots, progressives, blackjack, poker, and roulette variations. A live dealer casino is available as well. Royal Panda has won the hearts of players over with a modern-looking website, user-friendly layout, and a bevy of more than 300 great games, created by leading software development companies like Microgaming and NetEnt. There are options to suit the preferences of the most fastidious players, ranging from advanced slots and video poker to iconic games like blackjack and roulette. Registered customers can also compete against seasoned dealers and croupiers in the live casino section. Players will also benefit from an intuitive cashier menu where they get to choose from a variety of convenient, trusted and simple methods of banking, which include Visa, MasterCard, Paysafecard, Neteller, and Skrill. If slots are your game of choice, we recommend you stop by Slots Million where you will be able to make a pick from nearly 2,000 premier slots, table games, and video poker variations. There are options for all types of preferences, styles of play and bankroll sizes since the casino has partnered with multiple software providers such as Microgaming, Rival, iSoftBet, Playson, and NetEnt, to mention a few. The unique thing about Slots Million is that it is one of the few gambling operators to feature Virtual Reality casino games on its website, which certainly is something Dutch players can look forward to. If you are looking for a reliable Dutch-friendly casino with a diverse library of games, you might be interested in stopping by Rizk Casino. Its website impresses with a fresh and innovative design that furthers the ease of navigation. The live dealer offering is powered by developer Evolution Gaming. Joining the community of Rizk Casino comes with a number of perks including lucrative bonuses, secure payments, and professional support services, available via the convenient live chat facility. This is an award-winning gambling operator that first entered the online gambling industry back in 2003 and has been enjoying a great success among players since then. Customers of 32Red are provided with an immense choice of innovative games including slots, blackjack, craps, roulette, baccarat, and video poker. These are available in flash and mobile formats for the ultimate player flexibility. The renowned gambling operator supports play in 11 languages and works with a total of 9 currencies, including the popular GBP, EUR, and USD. Payments are carried out via all major banking methods like credit/debit cards, bank transfers and the e-wallets Neteller and Skrill. LeoVegas is a Malta-licensed online casino that has won players over with its versatile gaming selection, fast payouts, and secure banking options. The casino was established in 2012 and has received multiple accolades throughout the years, including an award for Online Casino Operator of the Year in 2017. The website features over 900 video slots, dozens of table games, and a live-dealer section. The virtual casino is powered by Microgaming and NetEnt while the live dealer product runs on software by Evolution Gaming. The casino performs seamlessly on all devices, including smart phones and tablets based on iOS and Android. Founded in 2012, Casumo offers Dutch players a gaming experience like no other as it features an innovative website that comprises hundreds of fabulous games, provided by NetEnt, Microgaming, WMS, and Novomatic. The casino strives to ensure all its customers can deposit and withdraw conveniently, which is why it works with a range of simple and safe banking methods, including the Dutch-friendly iDEAL. Casinoland has years of experience in the iGaming industry and has become the go-to online casino of many players from around the world, Dutch gamblers included. The casino attracts its clientèle with a sleek website design, premium gaming titles and time-efficient payments of the winnings. The website of the gambling operator brings together some of the best games of world-class developers like NetEnt, NYX, Play’n GO, and Microgaming. The casino offers a huge diversity of table games, video slots, progressives, and live dealer games. The operator sticks to the guidelines of one of the strictest regulators in the world – the Malta Gaming Authority. Roxy Palace is a leading online gambling operator that grants its customers access to a myriad of top-quality video slots and table mainstays, which can be played via a broad range of desktop and hand-held devices. Players are presented with a huge array of options including many slots, table games variations, and a live casino where they can be serviced by friendly and experienced dealers. You can rest assured the games impress with superior quality since they are courtesy of top providers like Microgaming and Playtech. You can enjoy them on your desktop computer in instant play or place a few bets on the go as the casino is mobile-responsive. Dunder Casino offers a bevy of first-class games created by leading software suppliers like Playtech, NetEnt, and Microgaming among others. The casino boasts an impressive selection of over 1,000 games that are available in instant play and mobile formats. The casinos works with various commonly used banking methods, including Neteller, Skrill, Visa, and MasterCard that are suitable for players from the Netherlands. Customers from the Land of the Windmills can deposit and withdraw in their local EUR currency. Omni Slots is a trusted online casino that was launched back in 2015 with the sole mission to “keep players spinning”. Players who choose Omni Slots can have their peace of mind they are gambling at a reliable and legal website since the casino operates out of Curacao. You can enjoy yourself to the maximum in instant play but there is also the option to play as you go since the casino is compatible with mobile devices. Thrills are what players are guaranteed to experience when they join this reputable gambling website which operates under the guidelines of the Malta Gaming Authority and UK Gambling Commission. Thrills Casino possesses all the traits of a trusted online gambling operator. This is an instant-play casino which is equipped with enough slots, table games and video poker variants to keep you entertained for hours on end. New registrants can start their online gambling experience with 50 Free Spins and €100 in Welcome Bonuses. Kaboo grabs the attention with a funky and unique website design that is incredibly easy on the eye while at the same time enhancing the ease of navigation. The casino is powered by the software of Pragmatic Play and Playtech, among others and offers an instant-play platform. The website which features a broad range of video slots and table games can also be accessed by portable devices, based on iOS and Android. Its transparent and fair bonus terms is what makes Kaboo stand out from the crowd. New players at Kaboo Casino are treated to a fantastic 100% First-Deposit Bonus of up to €50 plus 1 “relic”, which is a gift box containing different guaranteed prizes. SuperLenny has been a part of the online gambling industry since 2014 and is easy to distinguish thanks to its amiable deer mascot that greets players from the casino’s homepage. The betting operator runs a number of quality services including a sportsbook with live sports markets, a live dealer product, and a state-of-the-art virtual casino. The latter is home to a range of enticing slots, courtesy of software developer Pragmatic Play. You can load the games in your desktop or mobile browser for optimal convenience. In addition, players are provided with excellent customer service over a live-chat facility. Spinit has become a favourite online gaming destination of many players from the Netherlands, who are looking to set the reels of the hottest slots in motion. But slots are hardly the only thing one can play at this casino where you will be able to find a huge assortment of traditional table games like roulette, poker, baccarat, and blackjack. The video poker selection is also not to be sneezed at. All of these enticing games are courtesy of prominent casino software suppliers like NetEnt, NYX, Evolution Gaming, Play’n GO, and Microgaming. Not only is the casino friendly to customers from the Netherlands but it also enables them to deposit via locally available methods like iDEAL, Visa, Entropay, and Skrill. CasinoLuck is a reputable online gambling provider that is more than happy to welcome Dutch players to its multi-national gaming community. Its website operates on robust software provided by multiple suppliers like Amaya, NetEnt, and Microgaming, which pretty much guarantees players will enjoy a smooth-sailing and diverse experience there. A live dealer offering is also present at Casino Luck’s list of products. The gambling operator holds a license from the Malta Gaming Authority and is committed to providing fair gaming in a fun, yet secure environment. Casino Cruise takes players from the Netherlands on an epic journey the likes of which they have never seen before. The games in question have been created by popular software developers like Microgaming, NYX, Play’n GO, and NetEnt while the live dealer offering is courtesy of the leaders Evolution Gaming. Both new and existing account holders are rewarded for choosing the casino with lots of great promotional incentives, starting with a $1,000 Welcome Bonus plus 200 Free Spins. InstaCasino has plenty of perks to attract players with, starting with an impressive catalog of more than 1,000 high-quality games, ranging from the latest slots to various authentic table games, including varieties hosted by professional dealers in real time. The casino is powered by the state-of-the-art software of Microgaming, NetEnt, Thunderkick, and NYX whereas the live casino runs on the Evolution Gaming platform. And the best part of all is customers are not required to download any additional software to enjoy themselves. As the name of the operator itself suggests, InstaCasino offers its games in the flash format but it is also compatible with mobile devices. The experience players enjoy at Karamba is just as fun as this operator’s name and best of all, Dutch customers are allowed to join with real-money accounts. The vibrant website of Karamba features a huge array of premium gaming titles, including many slots, blackjack, roulette and specialty games. There is a section with tables operated by live dealers as well. Karamba Casino enjoys a superb reputation among its customers thanks to its timely payouts, secure banking solutions, efficient customer support, and lucrative promotional incentives. The casino operates under the licensing and regulations of the Malta Gaming Authority and the Alderney Gambling Control Commission. Unibet is known as one of the largest betting brands in the UK but this is not to say it does not welcome customers from the Netherlands at its web-based casino. It introduced its website back in 2003 and has expanded its list of offerings to an online sportsbook, online bingo, a poker platform, a live dealer offering, and a virtual casino. Unibet has decided to join forces with some of the biggest software developers out there in order to deliver a versatile and truly memorable gambling experience to its international player community. NetEnt and Microgaming also have contributions to the portfolio. The casino is legitimate as it holds licenses by the UK Gambling Commission and the Malta Gaming Authority. Launched in 2013, Energy Casino is a reliable online gambling operator that offers its customers a range of quality slots, video poker, table games, and a live dealer offering. The casino operates on software by Microgaming and NetEnt, among several others, and promotes itself as one of the fastest growing gambling websites in the world. Dutch customers will benefit from a friendly and efficient customer support service, an intuitive cashier menu, and secure banking options, including popular methods like iDEAL, Zimpler, Visa, MasterCard, Paysafecard, Skrill, and Neteller. The operator has become a favourite of many players from the country thanks to its fast and fair payouts. Betspin is a sleek web-based casino that is friendly to Dutch customers and offers them an extensive selection of first-class games by NetEnt. All the games offered by the casino are completely instant-play but the website also works on mobile devices like those based on iOS, Android and Windows Phone OS. Depositing players get to enjoy a variety of perks including free spins, reload bonuses and other ongoing promotional incentives while newcomers can get their betting experience started with a tasty welcome bonus. Should you need any assistance with your account management or with redeeming a bonus, you can always rely on Betspin’s friendly support team, whose members are on standby 24/7. BitStarz dubs itself the first Bitcoin casino on the web and features a number of quality titles by multiple developers like NetEnt, Betsoft, Amatic Industries, BGaming and Ezugi. Players who choose it as their preferred gambling destination get to pick from a wealth of superb video slots, table and live casino games. Customers of the casino can deposit and withdraw via popular methods like Visa, MasterCard, Paysafecard, Skrill, and Neteller, but a growing number of players prefer to use the cryptocurrency Bitcoin. The casino is committed to ensuring a fair and transparent gambling environment to its customers which is not a surprise considering it has been granted a license by the jurisdiction of Curacao. The gambling industry in the country is, in fact, subject to state monopolization on behalf of the local Holland Casino Group. The latter operates since the 1970s when the first Dutch landbased casino in the country, the Zandvoort, opened doors. At the present moment, the Group has a permission to operate a total of 14 landbased casinos within the borders of the country. Each of the 14 casinos is regulated and controlled by the Dutch government. Some of the branches of Holland Casino Group include gambling venues in Rotterdam, Groningen, Utrecht, Eindhoven, Breda, and Amsterdam, with the latter operating the biggest branch of the Group. The regulatory body that oversees the operations of these landbased casinos is called the Kansspelautoriteit or KSA. All profits from the venues that are operated by the Holland Casino Group are collected by the Dutch Treasury. Online gambling on the territory of the Netherlands is considered legal as long as the casinos’ websites are hosted within the country. At the present moment, the local government has not granted licenses to any foreign gambling operators, allowing them to legally accept players from the country. In fact, a good amount of efforts on behalf of Dutch authorities has been dedicated to preventing players from placing real-money bets at offshore gambling websites. In the past, the government has even attempted to block Dutch players from participating in remote gambling activities by drawing up a blacklist of interactive gaming websites to be blocked. The Dutch authorities also attempted to corner local banking institutions into refusing to process payments to and from the blacklisted websites but these attempts proved to be futile. Legislators soon found out the internet is next to impossible to police and hundreds of interactive gambling websites continued to accept the registrations of Dutch players. What is more, some online gaming operators even support Dutch and have added it to their lists of available languages. For the most part, the online gambling in the Netherlands remains a sector that is still not sufficiently developed. Discussions have started to introduce amendments to the current legislation in order to allow foreign online gambling operators to apply for local licenses, allowing them to offer their services and products to Dutch subjects. After nearly two years of discussing the matter, the country’s Lower House approved the so-called Netherlands Online Gambling Bill in the summer of 2016. The approval came after representatives of the European Union put some pressure on Dutch authorities and reproved them for stalling the industry regulation and making the business conditions unclear for market entrants. This was not surprising, especially if one considers the fact the country’s regulatory body, the Kansspelautoritet, reported that as of 2015, over 100 European online casino operators have expressed their interest in obtaining local licenses to legally operate within the country. The delays of the proposed legislation have been reportedly caused by disagreements in regard to the taxation that was to be levied on online gambling operators. This led to the suggested tax rates being increased from the 20% that were originally proposed to 29%, which would apply to both brick-and-mortar and online gambling providers. Presently, the government of the Netherlands is still working on the new remote gambling legislature’s draft. The proposed licensing system will be implemented as soon as the amendments to the legislation are officially enforced. In October 2017, the Vice President of the Dutch regulatory body Kansspelautoriteit announced that the new gambling legislation is expected to come into effect at the beginning of 2019. The new law will open the country’s market by allowing foreign gambling operators to apply for local licenses and legally offer their services to Dutch players. It is not yet clear precisely what the new set of legislative rules will be. A policy program released by the Dutch government this past October indicated that one of the likely requirements is for offshore gambling operators to be physically present on the territory of the country, either by locating their servers in the Netherlands or by opening local offices. Even if the draft legislation is indeed approved, the chances of this leading to any active licenses actually being issued are minuscule due to the taxation burden online gambling operators will be forced to comply with. As was mentioned previously, there are several constituent countries which are part of the Kingdom of the Netherlands and one of them is Curacao, which is a small island located in the Southern Caribbean Sea. This is the place the Curacao e-Gaming Licensing Authority operates from. This regulatory body was established over two decades ago, in 1996. This authority issues licenses which are applicable to sportsbooks and games of chance and skill. In order to obtain one such license, the companies are required to have their physical operating servers located outside the territory of the island of Curacao. At the same time, the online operators’ database on player information and financial transactions needs to be kept on computers that are physically situated in the Curacao e-zone. Apart from issuing and managing the licenses, the Curacao e-Gaming Licensing Authority also deals with a range of services including hosting and IT infrastructure. The aforementioned Curacao e-zone attracts international online gambling operators because of the favorable, low tax rates. The great thing about gaining the stamp of approval of the Curacao eGaming Licensing Authority is that there is no need to apply for separate licenses for the different types of online gambling activities. On the contrary, one license covers all forms of interactive gambling. Another regulatory authority that is associated with the Kingdom of the Netherlands is the Curacao Internet Gambling Association, abbreviated as CIGA. 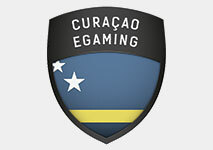 Also established in 1996, this is an accredited regulatory body whose purpose is to ensure online gambling operators that are licensed within this jurisdiction stick to its stringent guidelines, regarding fair treatment of players and comply with the licensing requirements outlined by the Curacao e-Gaming Licensing Authority. The CIGA works closely with web-based operators which specialize in all types of interactive gambling that involves placing real-money wagers, including virtual casino games, sportsbooks, games of chance and skill, and lotteries. Some of the requirements of the CIGA are for its members, i.e. Curacao-licensed online casinos, to enforce strict rules to prevent underage gambling activities, audit all customers’ financial transactions, prevent unfair advertisement practices, and accept financial responsibility by ensuring they have enough resources to pay out winning wagers. That being said, it is also important to mention that players, who are permanently domiciled in the Netherlands are usually not accepted with real-money accounts at online casinos operating under licenses from Curacao. The online gambling sector may be subjected to a monopoly in the Netherlands but many casino fans from the country are still welcome at various offshore gambling websites. Depositing players from the country have several convenient options where purchasing online casino chips is concerned. The majority of players from this jurisdiction prefer to use debit or credit cards for the purpose of boosting their online casino balance. Others are more comfortable with using prepaid solutions like Paysafecard because the latter helps them hold their gambling expenditures in check. Digital wallets like Skrill and Neteller provide Dutch players with anonymity and are also very convenient to use. Many opt for loading funds into their casino accounts through intermediary payment processors like iDeal, which, in fact, is exclusively available to customers from the Netherlands. All 30 gambling operators we have reviewed below support multiple banking solutions suitable for Dutch customers to use no matter what their preferred currency might be, but of course, their local EUR is usually accepted. SSL encryptions and firewalls are in placed to protect the money transfers to and from players’ accounts. MasterCard and Visa are two of the most commonly available card brands at Dutch-friendly online casinos. Both options pose as convenient and safe way to load money into your online casino account but more importantly, deposits processed via the two brands render players eligible for reload bonus deal at many interactive casinos accepting registrations from this jurisdiction. Boosting your balance with Visa or MasterCard will take only a few minutes of your time. You need to provide your card’s information, including its CVV, its number, and the expiry date. Then you approve the transaction and your payment goes through in a matter of seconds. One of the few disadvantages of using MasterCard as a deposit method results from the fact you may not be able to cash out your winnings with it. If you find yourself in one such situation and are a resident of the Netherlands, you will have to consider finding an alternative withdrawal method. You can request a standard bank transfer or opt for using an e-wallet like Skrill or Neteller. Many players from the Netherlands prefer to use the prepaid method Paysafecard since it allows them to gamble for real-money safely and anonymously. 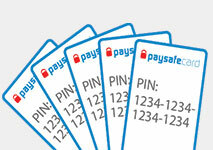 Paysafecard is essentially a voucher and is available in several set amounts – €10, €25, €50, and €100. You can purchase a Paysafecard voucher of a denomination you are comfortable with at a landbased outlet or at the method’s official website. Each voucher has a 16-digit PIN code the player needs to provide when initiating a deposit. There is no need to enter any sensitive personal or financial information in the process. As a rule of thumb, the method is considered suitable for players from the low and medium betting spectrums since the amounts one can deposit are lower. If you wish to make a larger money transfer, you can buy several vouchers (up to ten per payment) and combine their PIN codes. Provided that the overall value of the combined vouchers matches the amount you want to deposit, your payment will go through as a single deposit. Once a voucher has been entirely exhausted, you simply dispose of it. Entropay resembles Paysafecard in that it, too, is a prepaid deposit method and is widely available across Dutch-friendly interactive casinos. Entropay is a prepaid virtual Visa card that allows you to make secure and easy money transactions from the comfort of your surroundings. For the purpose, you first need to sign up with an Entropay account, create a virtual card, and top it up with your regular card, either a credit or a debit one. During the registration process, you need to choose an Entropay username and password – you use those when initiating your deposits, which also prevents you from disclosing any personal data. Depositing with this method resembles paying with a standard debit card. Your virtual Visa card has its own number, CVV, and expiry date. You will even see your name printed on the card’s front side. And the best thing of all is that the majority of Dutch-friendly casinos will not charge you with extra fees for your Entropay transactions. Some players are more comfortable with depositing via third-party online banking processors like iDEAL. In fact, this method was initially available to Dutch residents only but nowadays customers from several other European countries can also use it for the purposes of online gambling. 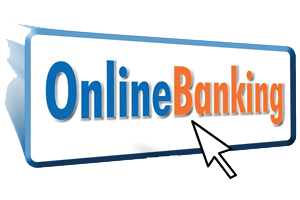 This payment processor allows players to make their online payments directly through the online banking services of their own bank, which is to say one is required to hold an account with one of the financial institutions participating in the iDEAL system. Depositing with iDEAL adds an extra level of security to your online casino payments since all sensitive information you share in the process remains secure between you and your bank. This is so because iDEAL operates as a mediator between the player and their bank. It only provides the protocol needed to make the online money transfer possible so users are not required to register for the service. Players from the Netherlands have the option to deposit and withdraw via the popular digital wallet Skrill, which is supported by a massive number of online casinos accepting registrations from their jurisdiction. With over 500 casinos supporting it and over 36 million customers on the global scale, Skrill has established itself as a leader in the online gambling world. To use it, players must register a Skrill account and top it up with their card or via online banking. You can also use another e-wallet for this purpose. Payments conducted via Skrill offer a high level of security because players only need to enter their e-wallet log-in credentials when initiating a deposit. What is more, the method can also be used for cashing out your winnings. The e-wallet supports a huge number of currencies, EUR included, which prevents you from being charged with additional fees. Neteller is considered the biggest competitor of Skrill since it, too, is a digital wallet that enjoys huge popularity among online gamblers. It enables customers to transfer money online in a secure and convenient manner. 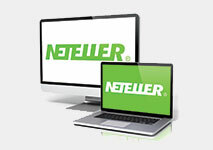 Registering a Neteller account allows players to upload, deposit and withdraw funds without having to worry about their sensitive information being compromised. When initiating a deposit with Neteller, one only needs to enter their e-wallet account details, specify the amount, and confirm the payment. The transfer takes place in real time. There is no need to provide any card or banking details to the online casino you are gambling at. You can top up your Neteller account via a variety of methods, including cards, online banking by iDEAL, bank transfers, other e-wallets, or vouchers by Paysafecard. Many players from the Netherlands have decided to switch from landbased to online gambling because interactive casinos offer them a wider range of possibilities in terms of games. When it comes to video slots, in particular, players have a wealth of choices, readily available at their fingertips. To boot, there are numerous variations of video poker and classic table games like baccarat, roulette, poker, and blackjack Dutch players can engage in, much to their hearts’ content. Playing live-streamed games against seasoned dealers is often a possibility as well. Dutch-friendly casinos are powered by some of the best software developers in the world such as Playtech, NetEnt, and Microgaming. This guarantees players from the country will enjoy a fulfilling and exciting gaming experience as well as lots of great features, authentic graphics, and a user-friendly interface. In the majority of cases, you can choose between download, flash, and mobile play since the websites of most Dutch-friendly gambling operators are compatible with smartphones and tablets, running on iOS, Windows Phone OS, and Android. Online casinos that embrace players from the Land of Windmills are usually home to a staggering diversity of classic and video slots. If you are adamant about playing simplified 3-reel slots, you will find plenty of options to choose from online. Microgaming alone has developed a broad selection of classic slots with a toned-down design and graphics that are played across 3 reels and a single payline, with some of the most notable titles being Break da Bank, Double Whammy, and Cash Splash. Dutch players who are keen on more advanced stuff cannot complain of lacking options, either. Online casinos accepting registrations from the country usually offer hundreds of modern slot titles that boast impressive 3D graphics and animations, realistic audio effects, and plenty of cool features like special wild and scattered symbols, bonus games with extra prizes, and free spins. Each slot has a distinctive theme and feel. The branded games like Bridesmaids, Jurassic Park, Gladiator, and The Invisible Man are especially popular among reel mavens. Slot fans from the Netherlands can also collect a live-changing amount in jackpot prize money. There is hardly an interactive casino out there that does not offer progressive jackpot slots where each stake made on one and the same game contributes to the accumulation of the jackpot pools. Some of the biggest prizes can be won at games like Microgaming’s Mega Moolah, Playtech’s Jackpot Giant, and NetEnt’s Mega Fortune. If you are one of those players who insist on spending their money on games whose outcome is based on skill instead of luck, you will be thrilled with the vast selection of video poker variants you will come across at Netherlands-friendly casinos. Video poker is a huge hit among gambling enthusiasts as it borrows most of its rules from the popular five-card draw form of poker. This type of game can offer players positive expectation provided that they find a full-pay video poker variation and master optimal playing strategy. Players from the Netherlands are provided with a broad choice of online video poker variations, including the ever-popular Deuces Wild, Tens or Better, Jacks or Better, All American, and Double Bonus Poker. The majority of variations are equipped with the Gamble functionality more daring players can use to double or quadruple their profits on winning hands. If you have pluck and big enough bankroll, you can commit with more money on one of the multiple-hand variations of the game. Online casinos are home to comprehensive collections of classic casino staples so it matters not whether you prefer to play baccarat, casino poker, blackjack, craps or roulette, chances are you will find a card or table game that corresponds to your preferences. Online blackjack variations typically utilize between one and six decks that are reshuffled following each hand. The splitting, doubling down and dealer standing rules differ from one variation of another, with some of the most popular online blackjack games being Atlantic City Blackjack, European Blackjack, Vegas Strip Blackjack, Double Exposure, and Blackjack Surrender. Baccarat, one of the most sophisticated card games out there, has made its way to the catalogues of most online casinos, accepting players from the Netherlands. There is usually the option to choose from several variations with different table limits each to accommodate the needs of all customers. Fans of rolling the dice get the opportunity to play games like craps and Sic Bo. Roulette enthusiasts will not be let down, either, since Dutch-friendly online casinos would normally feature all the popular variants like French, European, and American Roulette along with some more unusual options like Pinball, Multi-Wheel, and Mini Roulette. Some players would argue that nothing compares to the thrill of gambling at a brick-and-mortar casino. Well, online gambling operators do not fall flat in this respect, either, since most of them have separate sections, designated specifically for live games. These are traditional card and table games hosted by experienced dealers in the flesh and broadcast directly to players’ desktop and mobile screens in excellent quality. These games bring gambling enthusiasts close to the real-life casino action and can be played for real money only. They add a social element to one’s online gaming thanks to their multi-player set-up, not to mention there is usually a live-chat functionality allowing you to interact with the dealers and fellow gamblers. Are there taxes on Dutch players’ winnings? Players from the Netherlands can feel safe in the knowledge their online casino winnings are not subjected to taxation if there are gambling at locally licensed and regulated websites. However, if you are betting at an unregulated online casino, you might end up being taxed 29% on your profits if they exceed the amount of €449. This applies to lottery prizes and games of chance. Meanwhile, online gambling operators with a local license face 20% tax rates on their gross revenue generated on the Dutch market. Are Dutch players safe when gambling at offshore websites? The answer to this question is affirmative – Dutch players who register at regulated offshore casinos like the ones we have suggested below can feel safe knowing their financial and personal details are 100% protected. Licensed gambling operators adopt all the precautions necessary to ensure the safety of their customers’ banking transactions. As we explained earlier, the deposits and withdrawals are conducted using the best encryption protocols that are utilized by the largest commercial banks in the world. The operators also use special firewalls to fend off unauthorized access to their servers. Fair play is guaranteed through the use of Random Number Generators (RNGs) that ensure arbitrary and unbiased results. The said RNGs are audited and certified by independent testing agencies like eCOGRA, iTech Labs, and TST to make sure everything is working properly. What currencies are available to Dutch players? Players from the Netherlands can deposit and withdraw in a huge variety of currencies including their local EUR. In fact, this option is recommended since this way one will not have to pay extra costs for currency conversion. Make sure you choose the EUR as your preferred currency while registering at your chosen Dutch-friendly casino. In some cases, the gambling operators may not allow you to change your currency once you have signed up with an account.